This week on the podcast we’re joined by Financial Behaviourist, Jacquette M. Timmons. 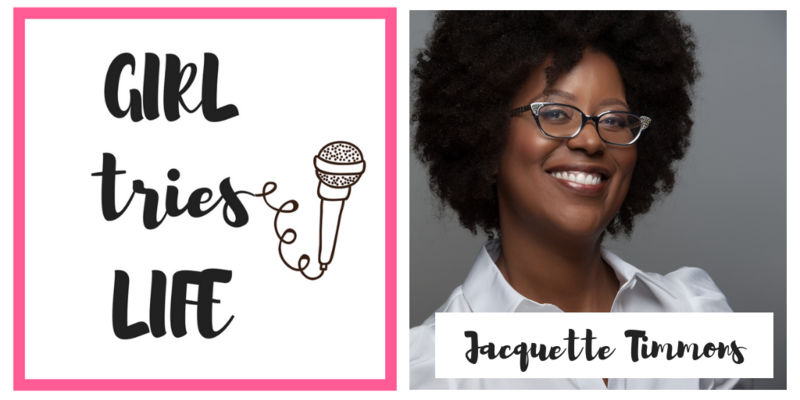 I was first introduced to Jacquette by Stephanie Pollock, the very first guest on the Girl Tries Life podcast. In doing my research, I came across Jacquette’s signature exercise: the Financial Wheel exercise. I highly recommend you try it out! It definitely opened my eyes to how I view money and some changes that I am already making. We talk about the challenges that women specifically experience in the financial world. Jacquette explains her financial wheel, and how that helps you plan your financial future. We talk the importance of clarity, how to decrease your stress around money, your money story and more. If you want to win a copy of her book, Financial Intimacy, you have to be signed up for my newsletter (sign up here) and info will go out to my subscribers on Saturday, November 17. This podcast is a proud member of the Alberta Podcast Network, powered by ATB. Modern Manhood’s interview with Vivek Shraya about her book, I’m afraid of men. Check out the Let’s Do Coffee podcast created by the Mawji Centre. Thank you so much for tuning in to this week’s episode. If you’ve been enjoying the podcast, please consider sharing it with a friend! Really, really enjoyed that Podcast. It was so relevant to me and my thinking about money at the moment which has changed ferociously in the past few years. I actually wrote my “Money Story” for another purpose yesterday and it was great to listen to the Podcast and compare it to my thinking when I was writing that. What a fantastic sounding board! I’m so glad that you enjoyed it, Lynn!